My daughter is entering her junior year of high school and I’m very aware of how incredibly quickly time is flying by. I feel compelled to make the most of the time we have before she’s off to college. There’s nothing like scarcity to make something valuable. That economics lesson applies across the board, including to vacation time with your older kids. You want to go somewhere that you’re both going to really enjoy. 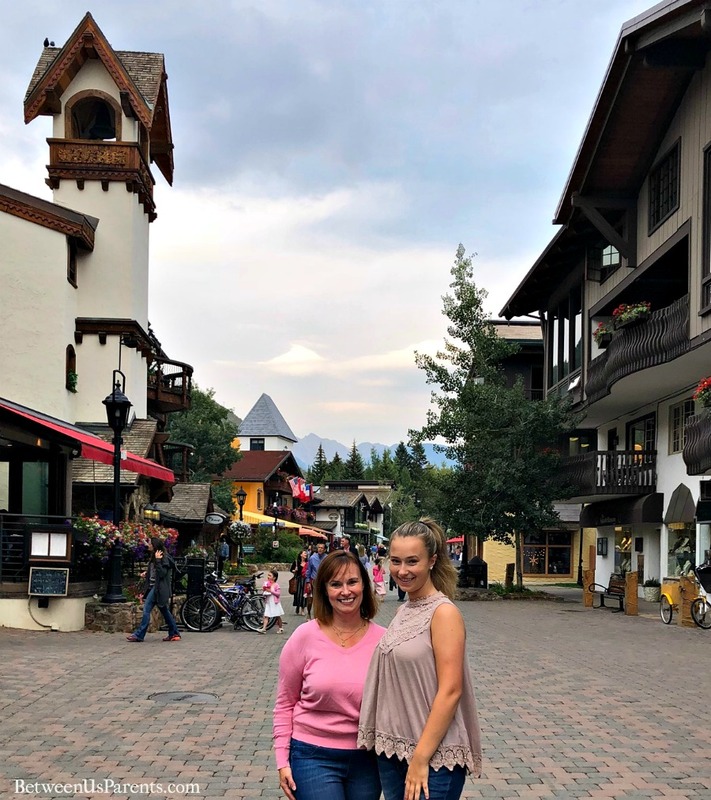 On a hosted mother-daughter trip to Vail, I quickly realized that Vail is the perfect summer destination for families with teens. Teens love to do things, especially activities that get their adrenaline pumping or that make for good Instagram photos. 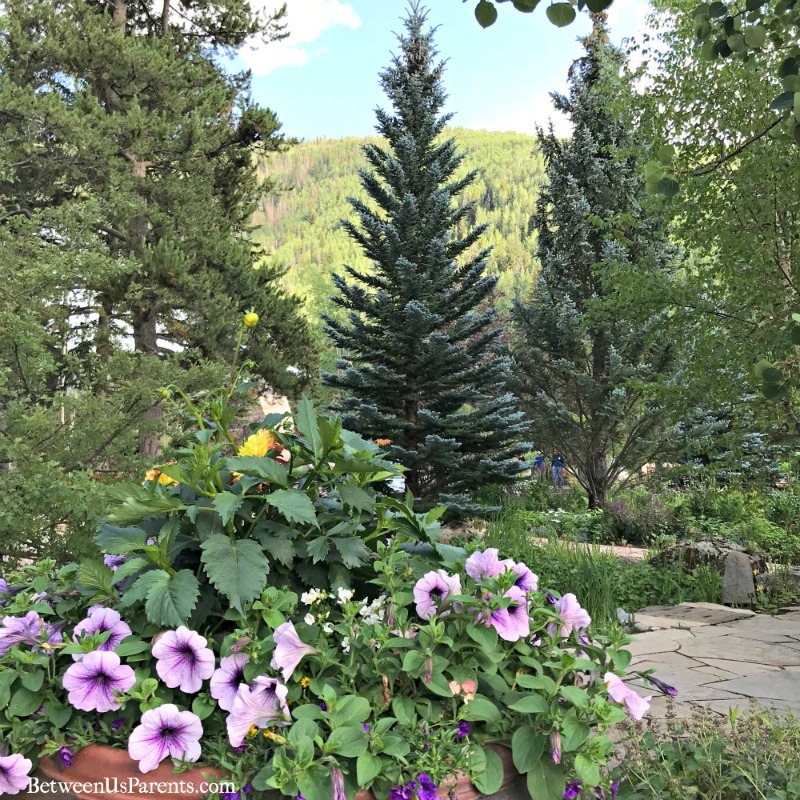 In the summer, Vail has an abundance of exciting activities, including whitewater rafting, hiking, zip lining or tubing at Epic Discovery, zooming on the Forest Flyer (a mountain roller coaster), mountain biking, and more. 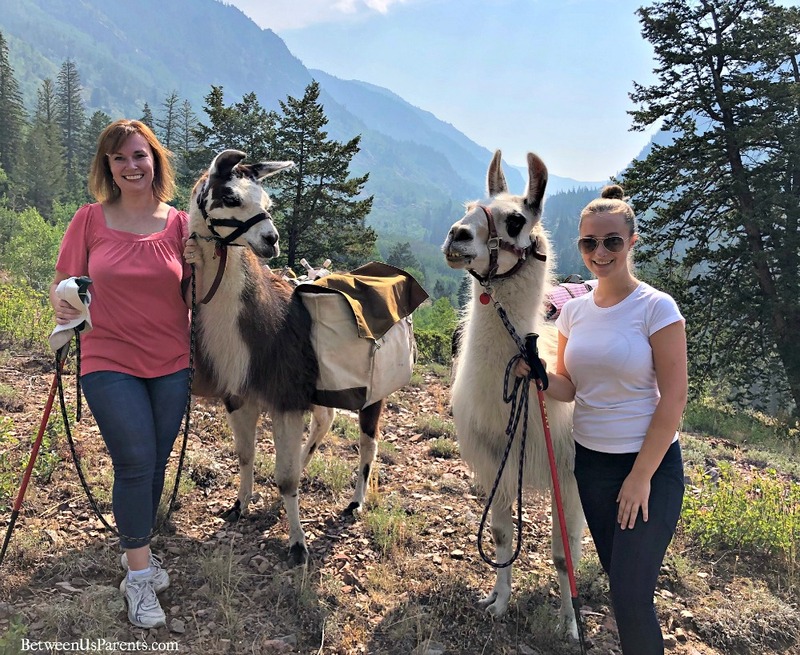 We took a llama to lunch in the mountains with Paragon Guides, something I’ve definitely never done before. I was apprehensive about the hiking at altitude given that Illinois is crazy flat and close to sea level, but nearly 5 miles later, and I was happy to have done it. 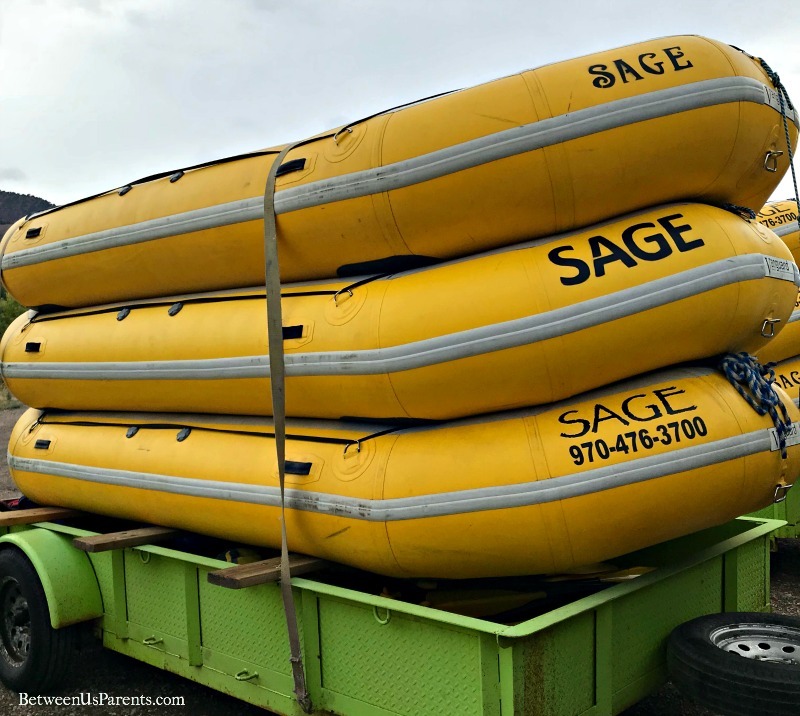 Whitewater rafting with Sage Outdoor Adventures was even more fun than I anticipated, and I loved that our boat was comprised of three parent-child duos. I was excited to do those activities with her while it’s still feasible for me to do so. 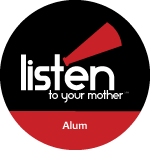 I stepped out of my comfort zone, which was hopefully a good lesson for her that you’re always capable of addressing your fears and/or trying something new. It’s such a great combo of fun, adventure, exercise, nature, and so many other things. It was sooo gorgeous. While I was kinda sad I didn’t have my phone to take pics, it was so nice to just take it in and not worry about the pictures. The rowing part is so fun – you’re actually doing the work and having an impact on the trip and that feels so good. Plus it’s just fun to stand up or jump in and watch other people jump in and just going over huge rapids and, long story short, I 10/10 recommend. 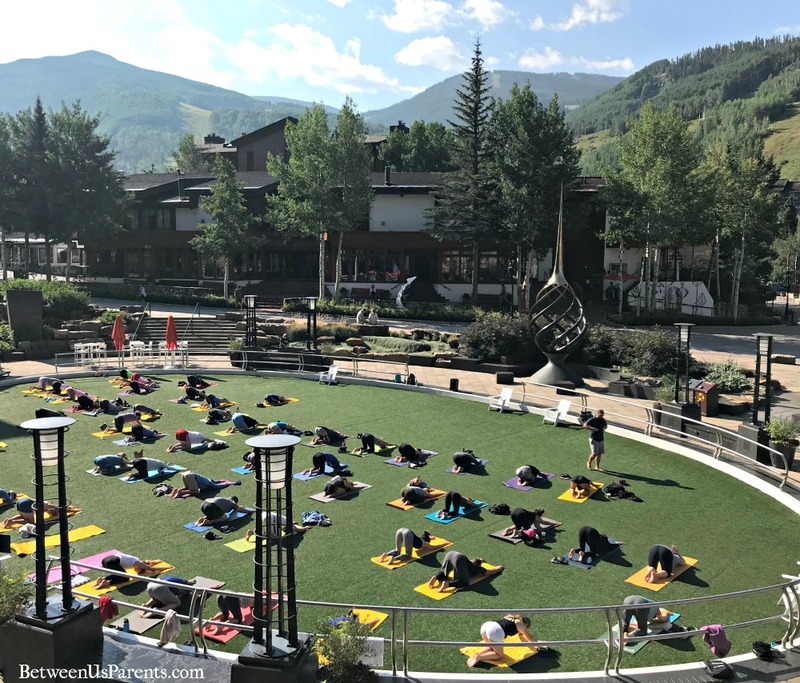 There’s also free outdoor community yoga on the weekend in front of Solaris if, like me, you like to balance rafting with a gentler approach to staying active. 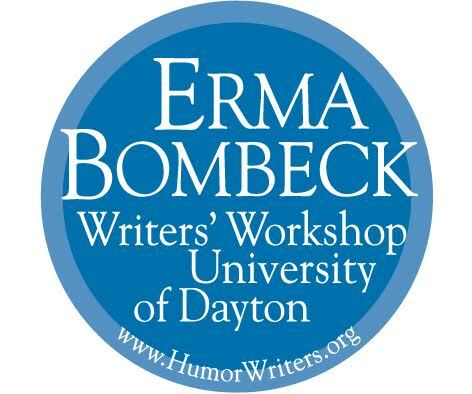 Ample downtime, which might just be when your teen starts talking. While I love being active with my teen, I also treasured the quiet moments we shared on this trip. We stayed at the Sonnenalp and it offered a few different opportunities to take advantage of down time to just connect. 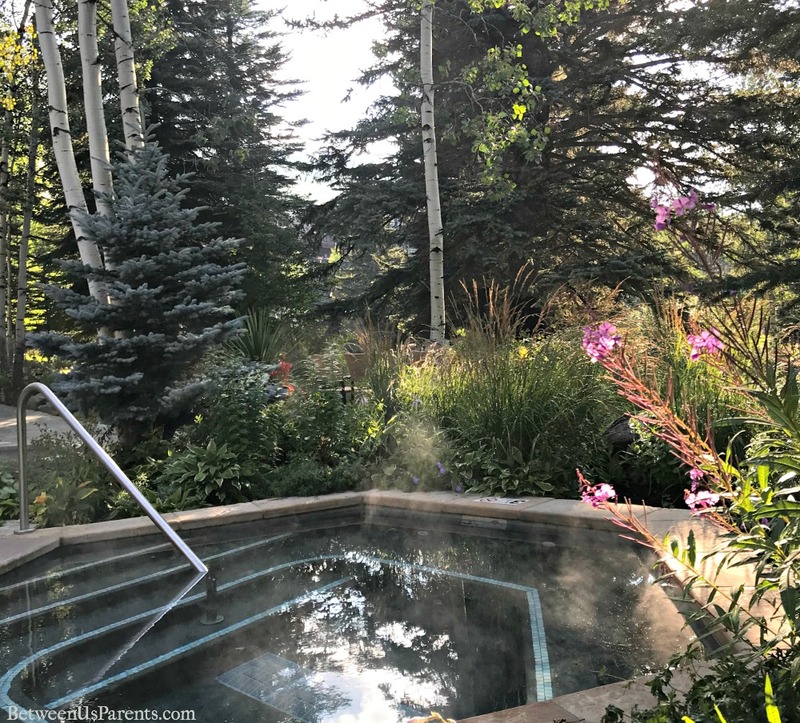 It was when we were relaxing in the outdoor jacuzzi beneath the pine and aspen trees after hiking that she shared some new thoughts about the upcoming school year. 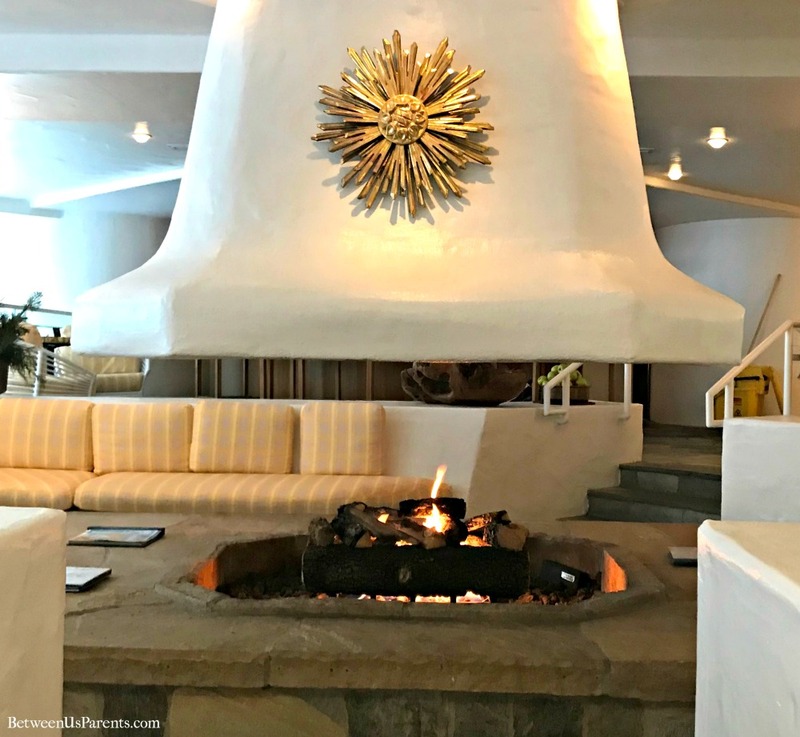 There was also a great fireplace with comfy cushions and a tea station in the spa. It was a cozy place to relax during a brief rain shower. While we found our hotel to be a good place to relax, we found lots of places around for doing so, too. There are lots of benches, especially along the creek and near the many fountains. They are also great spots to people watch. We also saw some people hanging out in front of the local library. The Betty Ford Alpine Gardens are also a lovely and relaxing space to take a breather and just be. I let my teen nap and headed here on my own, and had a great time. It’s so nice to be able to do that with teens. As an added bonus, I could hear the music from rehearsals for that evening’s performance at the amphitheater next door, which brings me to my next reason. Awesome artistic performances, which teens can actually appreciate. Traveling with teens has a lot of perks, including that they can stay out late at night and they can appreciate cultural activities. That means that they can catch a show, concert, or performance. Those are great ways to really get to see the creative side of a community in a meaningful way. We were fortunate to attend the Vail Dance Festival. From our seats on the lawn of the Gerald R. Ford Amphitheater we had a great view of the stage. Misty Copeland wasn’t able to dance due to the flu, but the other dancers we saw took our breath away. My teen dancer was awestruck. It’s a toss up as to whether it was more fun to watch the dancers or watch her watching them. Opportunities for Independence, for both you and them. Teens are always striving to be independent and Vail is a great place for them to have some time on their own. The town is small, self-contained, and easy to navigate on foot. Really, walking is the way to go. It’s also not terribly crazy, so parents can feel pretty confident that teens will be fine on their own. It also means that parents can enjoy a bit of adult time, too. It’s a win-win. Hangry teens are not happy people, and they are not fun to be around. Well-fed teens, however, can be downright delightful. Vail has a ton of restaurant options. Start the day with amazing breakfast buffet Ludwig’s at the Sonnenalp, which my teen said made her so happy she could cry. There’s a wide array of restaurants, there’s something to please all palates. 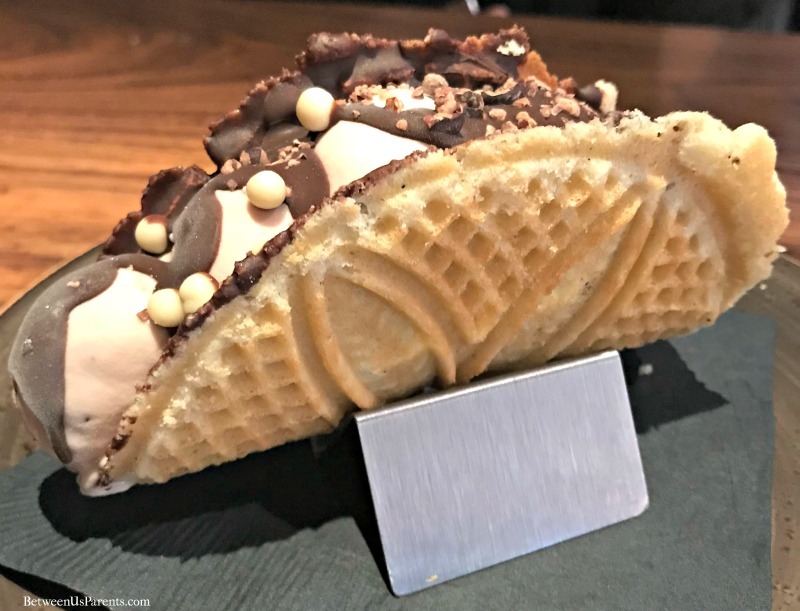 Mountain Standard was one of our favorite restaurants, and the choco taco there was a great way to cap off our night. Fear not, foodies, there are lots of options for you, including Matsuhisa for sushi and the new German restaurant, Almresi that has amazing spaetzel. Turns out that well-fed adults are also more pleasant and engaging! You don’t need a ton of time to have a ton of fun. Teens have very busy schedules, particularly as they get older. With jobs, volunteering, friends, testing and college prep, their vacation availability may be limited. Our trip to Vail wasn’t long, but we fit in a ton of quality time. We did a lot in what amounted to a long weekend. Of course, I would have loved to have stayed longer, but we had to get back for school registration. It was a perfect way to end our summer. 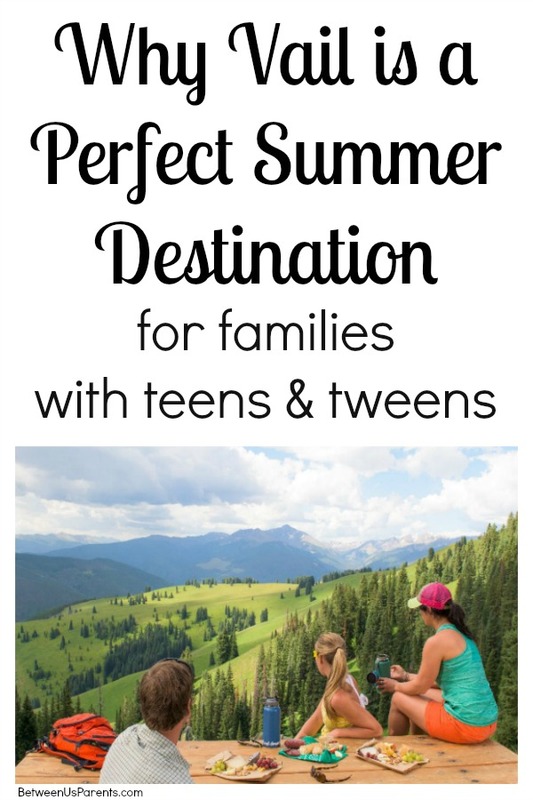 Take away: Vail is great in the winter primarily, no doubt, but it’s also the perfect summer destination for families with teens. Disclosure: As mentioned above, we were hosted for this trip. 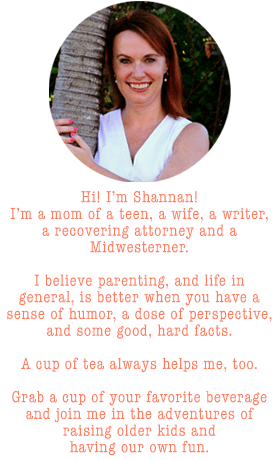 All opinions are mine or my teen’s, and trust me, she tells me exactly how she feels.